Still the same funny complication. 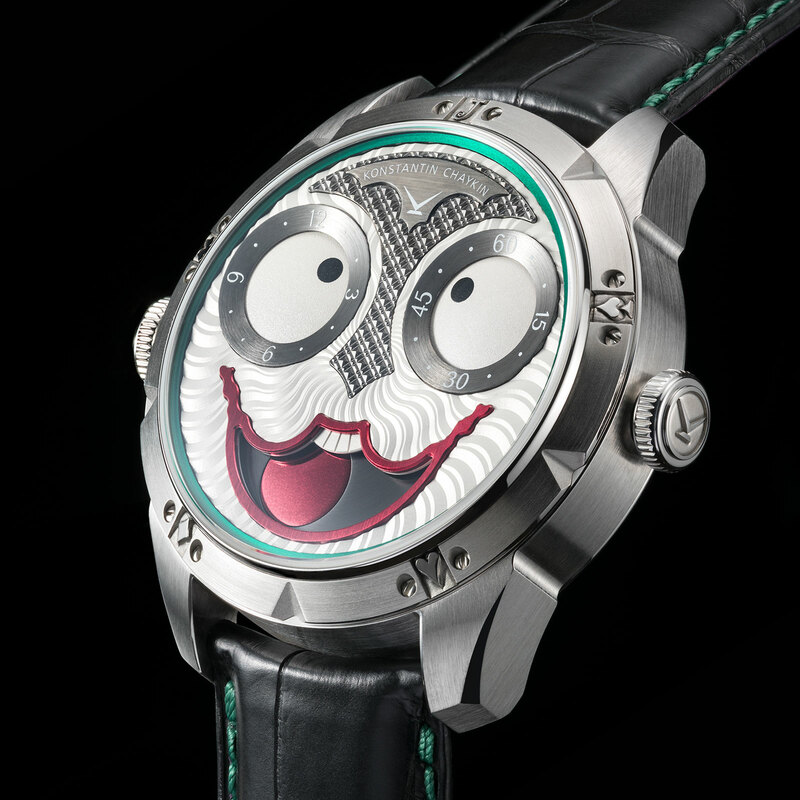 Introduced just earlier this year, the Joker was a hit at Baselworld 2017 and quickly sold out. 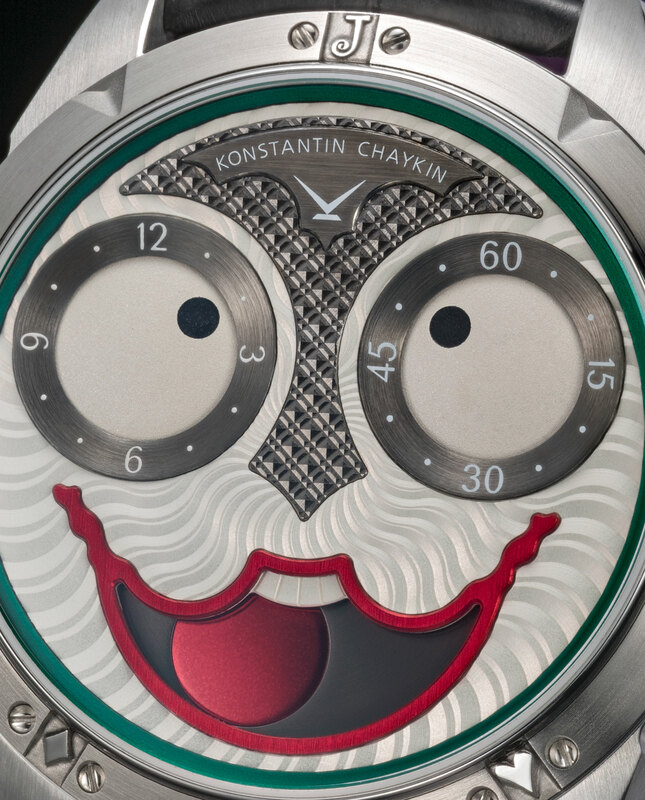 Its creator, Russian watchmaker Konstantin Chaykin, has swiftly followed up with a second run in titanium. The titanium Joker is almost identical to the first version in steel. The dial forms the same silly face, with the time indicated in two eyes, while the tongue forms the moon phase display inside the mouth. Beyond the material, what makes is different is subtle: the guilloche on the “nose” is slightly more elaborate hobnail motif. Like the original, it’s powered by an ETA 2824 topped with Chaykin’s in-house time display module. 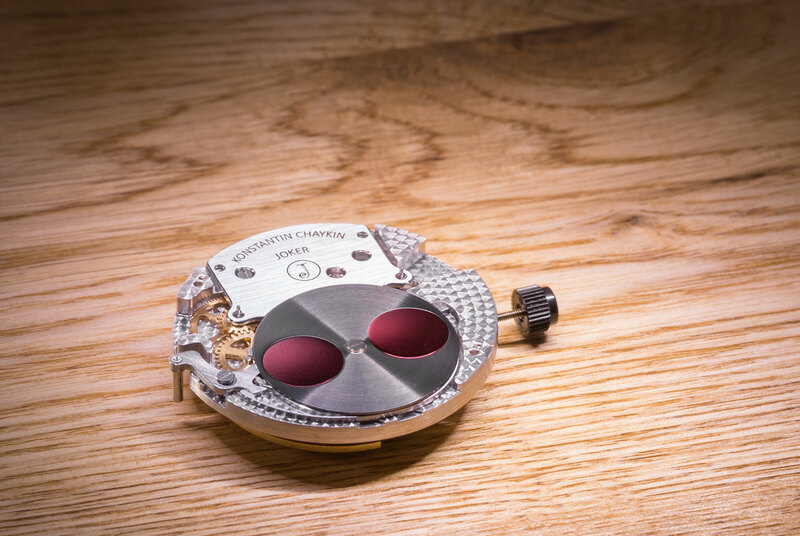 The titanium case is 42mm in diameter and 13.7mm high. And unsurprisingly, given the success of the original, the Joker in titanium costs more. 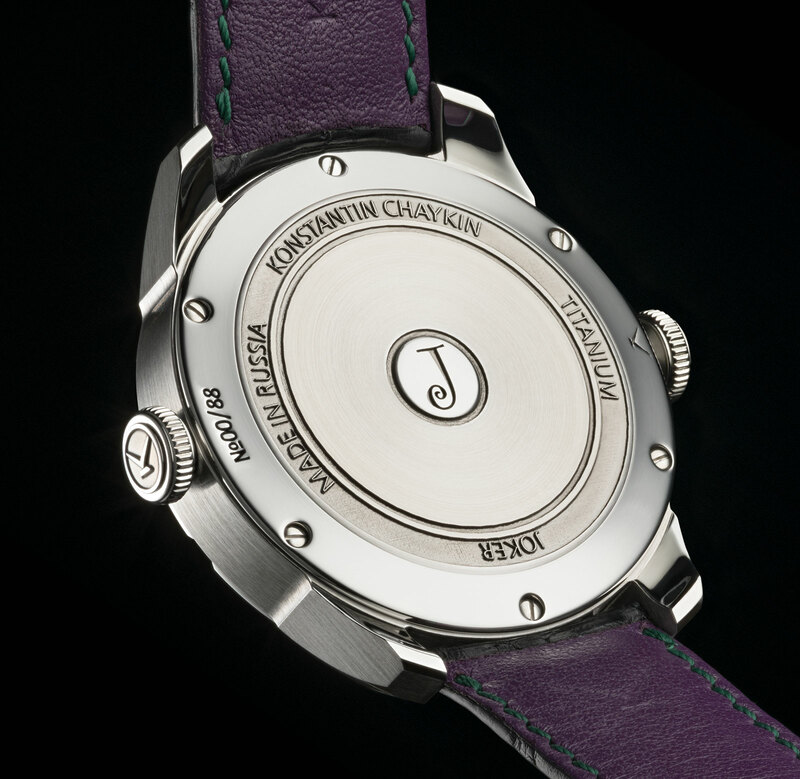 The Joker in titanium is limited to 99 pieces, priced at €8880, compared to €6990 for the steel model. A comical face that tells the time as well as the phase of the moon. From October 11 to 15 at Jeweluxe 2017.